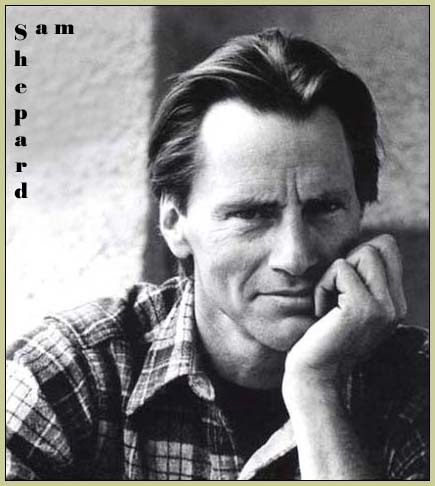 "I wanted to write a play about double nature, one that wouldn't be symbolic or metaphorical or any of that stuff. I just wanted to give a taste of what it feels like to be two-sided. It's a real thing, double nature. I think we're split in a much more devastating way than psychology can ever reveal. It's not so cute. Not some little thing we can get over. 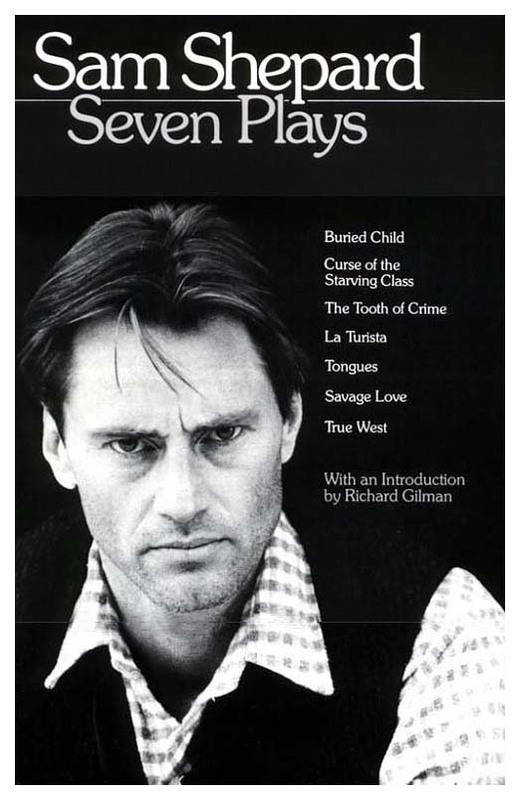 It's something we've got to live with." 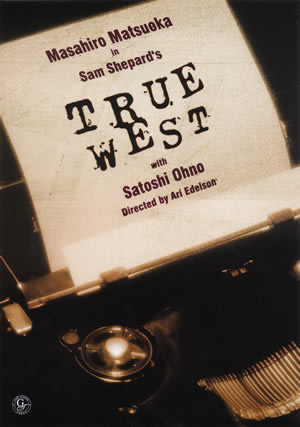 True West was first performed at the Magic Theatre in San Francisco, where Shepard was the resident playwright. 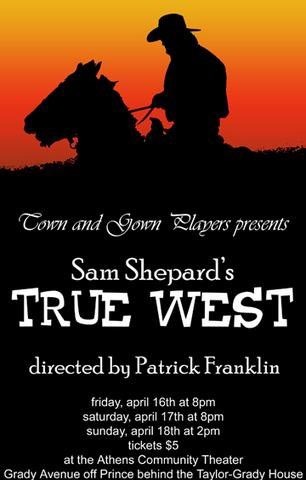 It had its world premiere there on July 10, 1980. 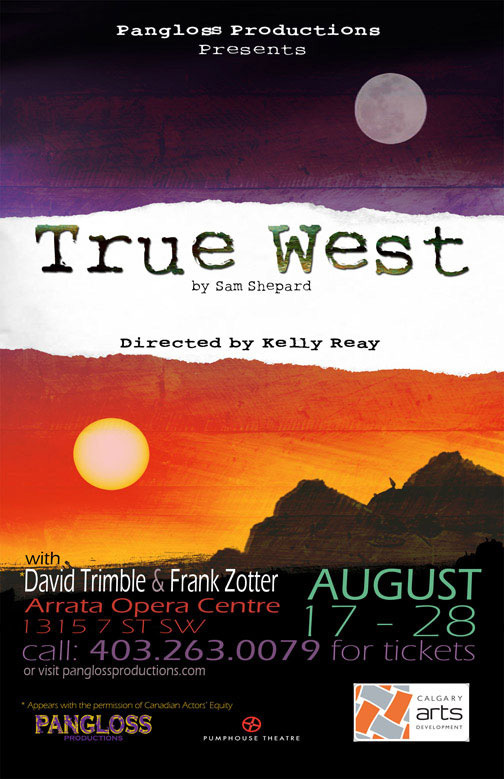 It was originally directed by Robert Woodruff and featured Peter Coyote (Austin) and Jim Haynie (Lee). 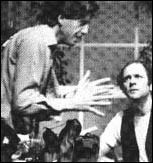 On December 23, 1980, it opened at Joseph Papp's Public Theater in New York City, starring Tommy Lee Jones (Austin) and Peter Boyle (Lee). 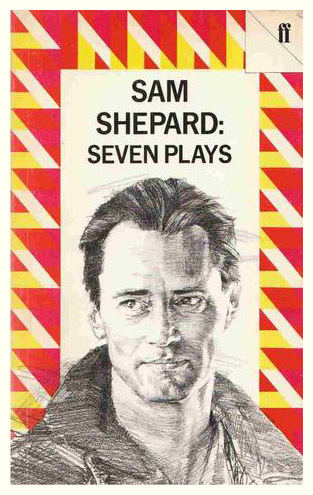 In 1982, it was revived at the Steppenwolf Theatre Company in Chicago featuring then-unknown actors Gary Sinise (who also directed the production) and John Malkovich. 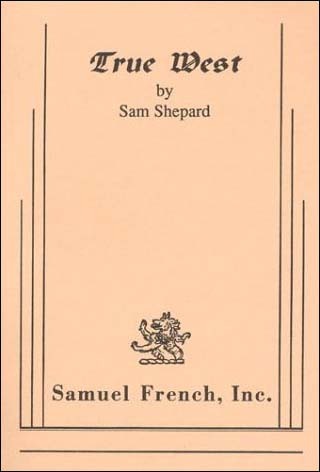 The production later transferred to the Cherry Lane Theatre in New York where it enjoyed a run of 762 performances. 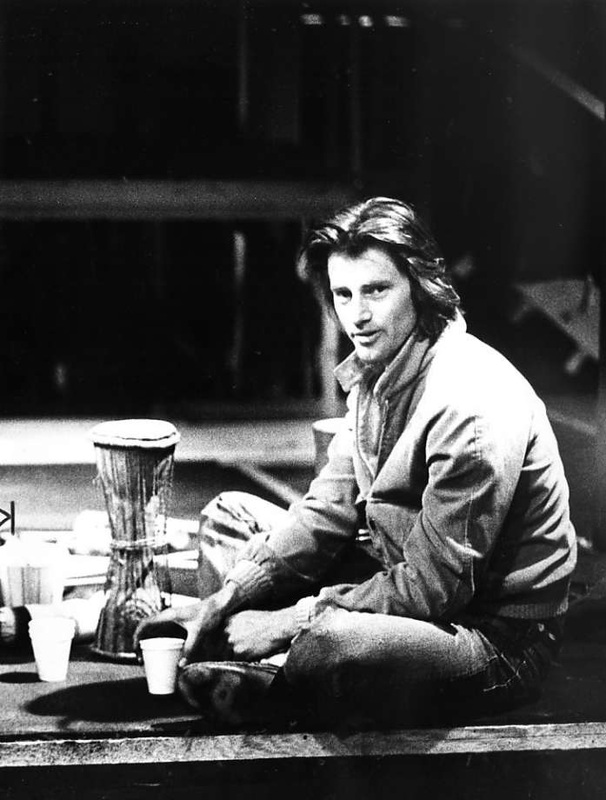 After Sinise and Malkovich left the production, the leads roles were played by a variety of actors including Jim Belushi, Erik Estrada, Gary Cole, Dennis Quaid and Randy Quaid. 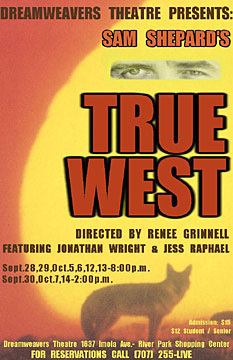 On March 2, 2000, a Broadway revival of True West opened at the Circle on the Square Theatre featuring Philip Seymour Hoffman and John C. Reilly, who alternated playing the lead roles. 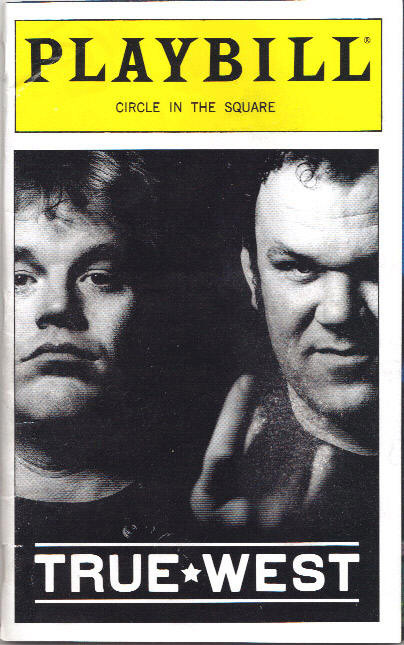 This critically acclaimed production earned Tony Award nominations for best actor (both Hoffman and Reilly), best director, and best play. 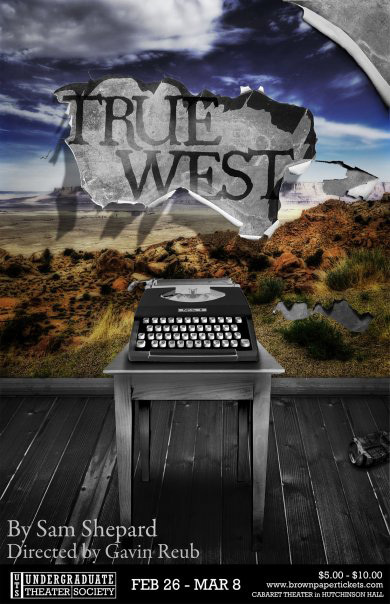 "'True West' has ... arguably become Shepard's signature piece, the leanest, most pointed of his full-length works." 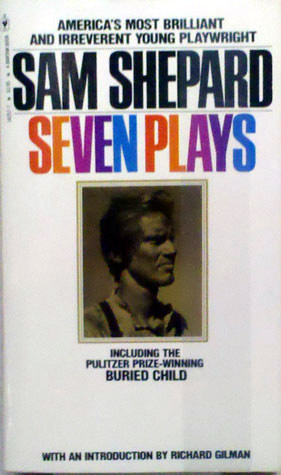 ...David Krasner, A Companion to Twentieth Century American Drama.